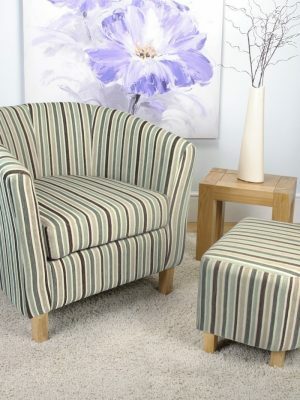 Our Tub Chair and Accent chair collection has some very stylish designs, all in very attractive styles and upholstery. The Tub chair seating is available in some very popular fabrics such as Crushed velvet, floral velvet, striped, Baroque floral design and linen. All manufactured to high standards. The fabrics are chosen for their durability and style, with the ranges using the latest on trend fabrics. All of our seating comes with a quality guarantee and everything is delivered free of charge nationwide. 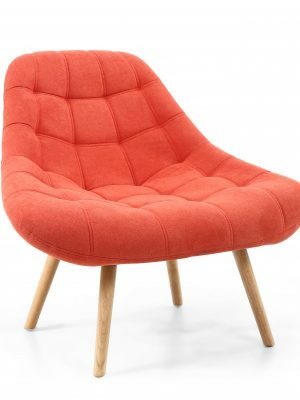 The Alison Retro armchair is a fabulous deep padded armchair in a classic design, upholstered in contemporary chenille fabrics. Sure to make an impression, this armchair is designed to suit a modern setting and is sure to be the focal point in any room. For full description and sizes please see below. 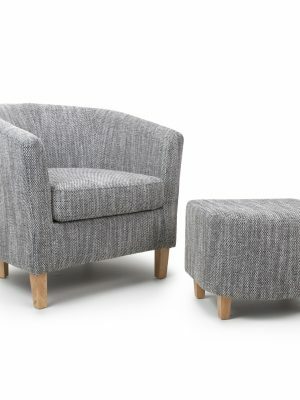 The Alloa Charcoal Grey fabric armchair is a very attractive armchair in a quality linen fabric that is warm to touch, and very durable. The Seating area is nylon strapped for maximum strength and comfort. 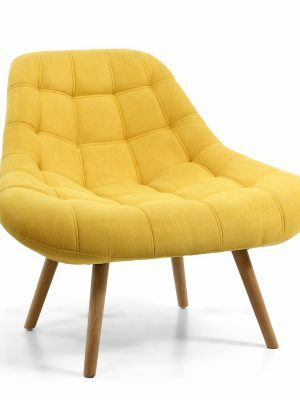 The Alloa Cream fabric armchair is a very attractive armchair in a quality linen fabric that is warm to touch, and very durable. The Seating area is nylon strapped for maximum strength and comfort. The Barker Silver Grey Button Back Deep Twin Tub Chair is an elegant button back design double tub chair, a simple classic design combined with comfortable upholstery. Simplicity and form combined in its clean and clear lines, of modernist inspiration for the refined design lover. For Full Description and sizes see below. The Derby Duck egg stripe tub chair and stool has a Classic Tub design that is both elegant and stylish. Finished in a thick Duck Egg Blue Stripe fabric and Solid oak wooden feet, this tub chair and stool set will look very stylish in any setting. The Free stool is included to complete the look For full description and sizes see below.